Mortuaries have a certain smell. We can’t quite identify it. But it’s not a happy smell. It’s a smell we have come to associate with solemnity. Mortuaries are serious places with muted colours. Subdued lighting. Quiet, pensive music. Isn’t it weird how some churches smell curiously like a mortuary? They are solemn, serious, and not fun. They stress (embrace is too cheery a word) the somber aspects of worship and faith. Mortuary mentality creeps in with music choices, traditions, and even their style of clapping (or lack thereof). Would people longing for an authentic life in Jesus look for it in a funeral home or mortuary? If ever a church were on the verge of passing into the great beyond, it’s the mortuary-type church. 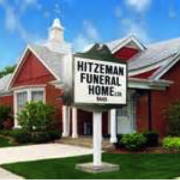 Sure, mortuaries serve their place in the world., but it’s certainly not where we go on a regular basis to grow closer to others. If you’ve ever been to one, you know exactly what I mean. Churches should be places full of life and growth. They should be healthy harbours of hope, not gloomy graveyards of grief. Yes, there is a time for tears, but not every time we gather together. In Christ, we have so much to be joyful about! 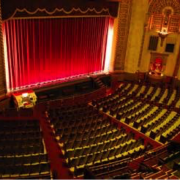 Another reason people are leaving the church and not returning – and people are not considering looking to or joining a church in their search for spiritual reality is that we often create a “theatre” and call it a church. “wow” effects to new heights. Are spiritually open people longing to watch someone on stage in a cleverly scripted world that frowns on flaws or technical difficulties? More importantly, how in the world can relationships possibly grow in a performance-based atmosphere like that? It may be entertaining, but it is certainly not relational. 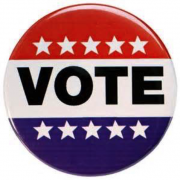 The second view of the church by those leaving it or not bothering to consider attending it is that it is nothing more than a political and/or social action committee. Social action issues dominate the agenda and are the prime responsibility of these churches. The political process fascinates the leaders of these churches. They are often actively involved in supporting or fighting hot political issues. But, in a place that is suppose to foster relationships, they often divide people by the approach that they take. Of course, these issues and others are important. I am not saying that churches should never be involved in addressing some of the world’s most pressing issues and problems. In fact, encouraging people to talk about issues like these can be a healthy, effective way to engage people and stay relevant. But, if these things are the main priority, then they are supplanting the need to let people experience God and grow closer to each other. Churches should draw people together – not draw lines in the sand. It should bring people of many opposing viewpoints together so that they become lasting, supportive friends in the Name of Jesus. Perhaps people are leaving the church and others are not joining the church because their view of it is much different than your view. Regular people are not connecting with the local church because they perceive it as more of a spiritual police department than a common fellowship of believers on a spiritual journey together. 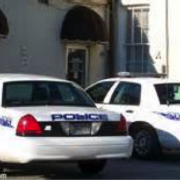 Rules rule in police department churches. These churches make sure that people follow a long list of do’s and don’ts. Everything revolves around letting others know the rules. 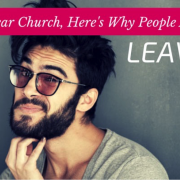 You see the rules stated or implied in the church signage, the way the building is decorated, the atmosphere in the sanctuary, the bulletins, the newsletters, websites, and sermons. They have made the law and obedience their top priorities, or at least, their most visible one. In a world of people desperate for Jesus, do we hope our God is most known for the 1,000 commandments – most of them man-made? We all know and understand that certain rules, like the Ten Commandments, are important. No one wants a world (or a church) governed by chaos. What would driving be like if there were no rules of the road? Rules and law keep things orderly and safe. But, what is the main message your church is sending to the people who visit it? Do announcements remind people about the correct way to park in the parking lot? Are there signs all around the church building instructing people which doors not to enter, where to pick up children, and when to flush the toilet? Do sermons tend to focus on enforcing God’s (or man’s) laws? Let the police station be the police station. And, let your church be a haven for thriving friendships. As we saw yesterday people’s experience determines what they believe. So, the experience of a believe as he or she interacts with other believers determines what they think of the church and whether or not they will remain a part of the church. And, the experiences that a non-believer has with those who claim to be believers determines what they eventually come to believe about the church. Experience determines belief determines action – they stay and become a part of the church or they leave … or, as non-believers they never look to the church as something that might be valuable in their life. In other words, by experiences they have had with those who call themselves Christians, they have tasted what Christians offer in and out f church, and they don’t want what they see and experienced. Their experiences and encounters have led them to believe that the church is simply not relevant to their lives and not something they need to invest their limited time in. Let me recommend that the church – and thus all Christians – need to examine the live they live and the way that they live it. We must examine ourselves and see if we are actually living and relating to others in a manner that is biblical and represents Jesus. And, we need to examine our lifestyle, the way we live every day life, to see if it too is something Jesus approves of. I believe if Christians would learn to love, accept, and forgive then people’s experience of Christians and the church would be totally different. This would lead to a different belief about Christians and the church and thus new actions. Just as Jesus loved us unconditionally – so we need to love all others the same way. No judgments, no criticisms, no rejection, no pointed, condemning conversations. And, just as Jesus accepted us as we were not waiting first until we cleaned up our act and made some changes – so too we need to accept all people just where they are at in life – confused, wrong, in sin, living a homosexual lifestyle, a drunk, a drug addict… Acceptance goes a long way in every person’s life because it is one of the basic needs of all people (see blog #6 in this series). And, we need to forgive everyone unconditionally when they hurt or offend us. Why? Because Jesus forgives us unconditionally and as often as we need it. If we would live life and run our churches by The LAF Principle we would find people will have a different experience with Christians and the Christian Church and thus come to hold a different belief about who we are and what we stand for in life. So, what do people really want from the Church? What are their expectations when they seek for a church family to join? From what is happening statistically to the church we might want to conclude that the average church and the weekend assembly of believers is failing to meet these basic needs. People want God. Just not how the Church packages God. They stand on the sidelines, watching Christians live their lives as though God doesn’t really make a difference. Why should they waste their time? Maybe we need to change an assumption that those of us who lead churches hold dear and actually work from. We have made the faulty assumption that if leaders tell people what to believe, then that will result in the action of them becoming believers or maturing in their faith if they are already believers. That seems to not be how it works. church are legalistic, judgmental, and negative, those experiences shape our beliefs about God. And, those beliefs shape our actions and how we interact with the church, Christians, and the world. 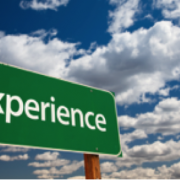 So, it is time to change ‘the experience’ because there is creative and life-changing power in experience. We will look at “Experience leads to belief leads to action leads to results” next time. The most frequent and maybe even most important reason people are leaving the church and not returning into fellowship is that they believe God is irrelevant to their life. In spite of this, it is the ‘God” being preached about that they think is irrelevant as they are actually wanting to know that there is a God and that He cares about them. Let’s admit it, most people don’t experience God at a typical church service. They are not looking for the deep theological trivia that seems to interest a lot of preachers and teachers. They crave something rather simple. They want to be reassured that God is realm that He is more than an historical figure, that He is present today, and that He is active in the lives of the people around them. They don’t understand that God IS real and active in their daily lives. What evidence do they get of God at church? It’s not through a sermon full of well-quoted Scripture and unrealistic platitudes. It’s not with a handful of beautiful sung worship choruses. It’s not because of a rigorous handshake at the door. And it’s not from a plate passed around the room to collect their money. I am not being cynical. I too want to explore and experience God in church. I too have struggled with finding any evidence of God in daily life in the world today. Like me, most people simply “want to see Jesus” (John 12:21) and really follow Him. Sadly, research by the Barna Group reveals that only 44 percent of people who attend church every week say they regularly experience God at church. No wonder God doesn’t seem relevant. In a place where no one is allowed to ask questions, share doubts, engage in dialogue, or be completely honest, relevance simply can’t exist. People are spiritually hungry. People do want to grow closer to God. People are eager to find meaningful relationships. But people also have real concerns and issues that are seldom if ever addressed in church. I are not sure churches can be relevant when they don’t seem to be in touch with the raw, everyday lives of the community around them. Relevance isn’t the worship pastor showing his tattoo on stage. Relevance isn’t serving fair- trade coffee in your lobby. 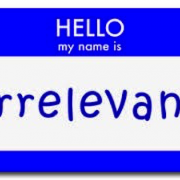 Relevance isn’t showing the latest popular movie clip during a sermon. True spiritual relevance is seeing God in the matters of life right here at hand in daily life. Seeing God in MY life. Is it possible to create a church environment where people truly experience God all the time? Is it possible for church to be known as more in touch than out of touch? Is it possible for the church to become known as the most relevant place to go? We are seeing, in every nation, many people leave the church and often not return. They are leaving for a number of reasons. 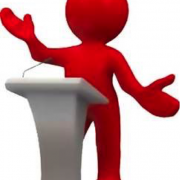 Let’s look at the issue of being lectured. I have personally been asking those I work with what their thoughts are on this trend. I have found that almost everyone who attends a worship service want to be able to ask questions and engage in conversation. Think how un-conversation-friendly our churches are designed to be. Sitting in pews or chairs, facing a stage, and looking at the backs of people’s heads is hardly conducive to talking with others and having a dialogue or a discussion. And it is not just conversation people are after and wanting. They have questions. They have doubts. They have stories of their own that they want to share. They wonder about a great man things. But there’s no place for their questions, their doubts, their stories, or their wonderings in the church. Instead of meaningful dialogue and engagement, the most common church experience today enters on the Sunday morning sermon. A lecture. A 30- to 45- minute speech. Yet even the most stirring oration doesn’t build relationships. And relationship is what people are looking for and literally needing. They can hear a lecture and receive teaching any time of every day on the internet. When was the last time you grew closer to someone because you both sat through a lecture together? It is no wonder fewer and fewer people are looking to the church to grow closer to God and to others. What people really want, more than anything, are real conversations leading to real connections with real people. They want to know and be known by others. They want intimacy and rapport. They want friendship and support. They want relationships. And, remember, faith in God is a relationship. Is it possible to create a church environment where people can fully expect to grow closer to someone every time the attend an assembly? Is it possible for church to be known as the place where we all go to grow relationships? Is it possible for the church to become known as the friendliest place in town? I have been in fellowship and discussion with Alexander who left Kazakstan a decade ago after learning a new language and went to the nation of Turkey to work as a believer and impact people, including Muslims, for the faith. He examined what was going on in that nation and discovered that many foreigners had come to this nation over the years and that in spite of good hearts, modern methods, and hard work little had been accomplished. These people had come into a foreign culture and set up a standard, traditional format for the assembly of those who are born again and want to worship and fellowship. However, in most cases, the only people attending were other, older foreigners who found the format of a lecture and looking at the back of the heads of others comfortable. It is time to examine the facts and change the methods and the formats we use … but never the message. I am writing this blog while in Russia ministering. We are chatting about why many believers no longer come to a worship service when the saints or believers assembly together on a weekly basis. As I have spoken with my driver, my interpreter, and several others over the past few days I have discovered that although all of them love Jesus, none of them attend a church. One of the reasons, as stated when starting this series there are generally four reasons. 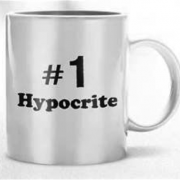 Let’s look at the issue of hypocrites in the church. This isn’t a small minority talking. A whopping 85 percent make this claim, according to the research. Of course, every attending Christian is tired and very weary of this excuse. But people are not merely referring to incongruous behaviour. You know, they say one thing and do another. What bothers them is the sense that church leaders act as if they alone have all the answers. As if they have arrived. As if they are only interested in telling others what to do – “teaching,” to use a church tear. So when it comes to church, we can’t keep pretending we’ve got it all together. We can’t keep trying to put on a perfect face. Think about what happens at a typical Sunday morning service. The congregation gathers into the holy sanctuary ready to worship. After a few songs and an announcement or two (is this really worship? ), the pastor takes the stage and gives a lecture – typically about how God wants us to live better lives. With rare exception, the pastor, often with a team of elders or leaders, portrays an image of maturity, wisdom, and expertise – a living breathing example of how awesome our lives could be if only we follow Jesus more closely. What’s more, the tone of the sermon is commonly about how the congregation has fallen short. Sure, there are exceptions. But the vast majority of church worship services project a sense of holiness that most (actually, none) of us can live up to. Is the hypocrite label fair? Unfair? Does it really matter? matters is that people might – just might – come to church again if they could count on it to engage the realities of life. Is it possible to create a church environment where people find genuine authenticity on every level? Is it possible for church to be known as the ultimate home for sincerity? Is it possible for he church to become known as the least hypocritical place in life? I believe it can if we are willing to make some major changes. The first reason less and less people are attending weekend services at a local church is that people feel judged. 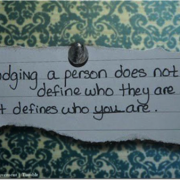 And, being judged, makes a person feel like they don’t belong and somewhat an outcast from the group. They feel like they simply don’t fit and are not welcome. The Church, in general, is known for being judgmental. We judge those who smoke, drink, wear clothes that are not “becoming a believer.” We look at those with tattoos as seriously pagan. Piercings are another issue. According to a survey quoted in the book “UnChristian” by Gabe Lyons and David Kinsman 87 percent of Americans label Christians as judgmental. And 91 percent say Christians are anti-homosexual, which is, again, lumped in the ‘judgmental’ category. Fair or unfair, most people view the Church as critical, disapproving, and condemning. Whether it’s behaviour, looks, clothes, choice of friends, lifestyle decisions, or whatever the Church has a solid reputation for acting as judge and jury over our individual differences. Reflect on that for a few minutes. Have you ever felt judged by someone in the Church? Chances are, you have. Probably more times than you’d like to admit. Maybe you didn’t quite fit in. Maybe you said the wrong thing. maybe you didn’t look quite right. But you were judged (more likely misjudged) and it hurt, at least a little. On the other side of things … Have you ever formed negative opinions about people who came to your church? Maybe they didn’t quite fit in. Maybe they said the wrong thing. Maybe they just didn’t look right. But you came to your own conclusions about them, perhaps a bit unfairly. it’s an easy thing to do, and we’ve all done it at some point or another. Is it possible to create an environment where people are welcomed and accepted … no matter what they look like? No matter what they say? No matter what they believe? Is it possible for Church to be the place where the average person can walk off the street, warts and all, and be fully embraced – finding love, acceptance, and forgiveness. Is it possible for the Church to be known as the least judgmental place in each town and city? I believe the answer can be, and must be, YES.